What do you think of this iHere Key/Wallet/Phone/Car Finder? • Phone Finder - Use iHere to ring your phone and find it. 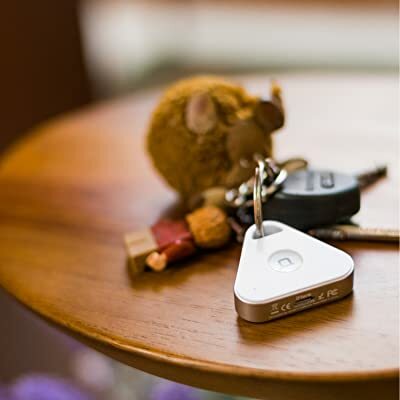 • Key Finder, Wallet Finder - Find your keys and other valuables with iHere app. • Take Selfie - Control your phone's camera. Take the perfect selfie or group photo every time. • Voice Recorder - Record voice any time with iHere. • Compatible - Works on iPhone/iPad/iPod touch with iOS 8.0 or above, Android 4.3 or above. • Rechargeable and Long-lasting Battery - Each charge lasts up to 45 days, no need to change batteries. • Great Gift - Fun and pretty gadget that helps with daily life.